The wintergreen (Gaultheria Procumbens) is a small, aromatic shrub belonging to the Gaultheria genus. This creeping evergreen is believed to originate from eastern North America, but is now cultivated throughout the entire world for its potent essential oil. Wintergreen essential oil is renowned for its numerous health benefits and uses, particularly among those suffering from muscle and joint pains. Native Americans were the first to recognize and make use of wintergreen as a medicinal plant, and the rest of the world is slowly doing so too. Together, these chemical components imbue wintergreen essential oil with analgesic, antiseptic, astringent, carminative, diuretic, and stimulating qualities. The most popular use for wintergreen essential oil is as a treatment for rheumatism and arthritis. As a stimulating substance, wintergreen clears obstacles blocking blood flow and encourages blood circulation. As a diuretic, wintergreen speeds up the discharge of excess water, salt, and toxins. It’s through these properties that wintergreen serves as an effective rheumatic and arthritic remedy. One surprising yet helpful use of wintergreen is as an emmenagogue, or a substance that increases menstrual flow. By encouraging menstrual flow, wintergreen diminishes the pains commonly associated with obstructed menses, such as fatigue and nausea. The stimulating and relaxing effects of wintergreen peg it as a helpful spasmodic, and therefore, a good reliever of muscular and joint pains, convulsions, and stomachache. Note: wintergreen may interact negatively with certain medications, especially blood thinners. The diuretic quality of wintergreen essential oil is beneficial to the kidneys, as it eases the load off them by speeding up toxin removal. 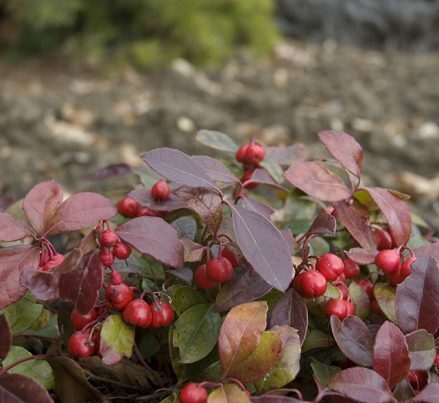 Moreover, by clearing up the kidneys, wintergreen prevents kidney stone formation as well. Wintergreen is an analgesic that, when applied to the skin, induces a soothing numbness in the nerves. Wintergreen essential oil has the ability to kill odor-causing bacteria, making it a good addition to homemade toothpastes. To obtain wintergreen essential oil, steep the leaves in water for a minimum of 24 hours. Afterwards, allow the mixture to ferment to release its oil. Note that wintergreen essential oil is highly poisonous and should never be consumed directly, nor should it be used in aromatherapy. Topically applying wintergreen is enough to reap its health-promoting benefits. Wintergreen berries are sweet and very minty, almost icy, and perfect for mixing into homemade ice cream. The berries themselves are as helpful as the leaves, and are known to be decent remedies for headache, fever, and sore throat. Wintergreen leaves can also be boiled to create a soothing tea for sore throat. All Natural Transdermal Pain Products That Really Work! The wintergreen is a highly aromatic plant that is typically used for the alleviation of rheumatism and arthritis. It is loaded with chemical compounds and substances that make it a decent remedy for muscle cramps, joint pains, stomachache, and more. Wintergreen essential oil should never be eaten or used in aromatherapy, nor should it be used by individuals who are taking blood thinners.